BREAST cancer survivor Kat Thompson's second chance at life has inspired her to step out of her comfort zone, and she'll be doing exactly that today while being photographed around town covered in body paint and not much else. 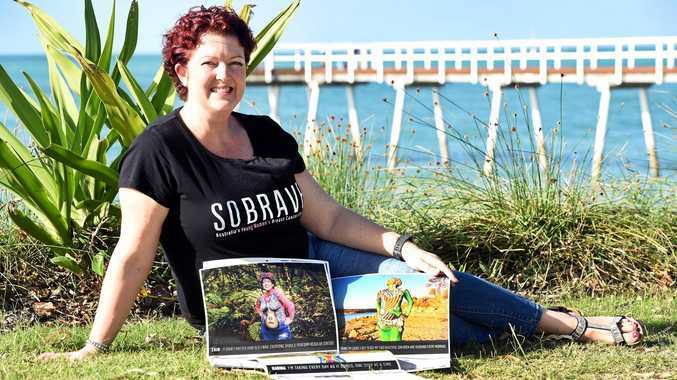 The Hervey Bay mother-of-four is a model in charity So Brave's annual fundraiser calendar for 2019, where the 41-year-old will pose for one of the months. Eleven survivors from across Australia are also involved in the project. It is estimated it will take about seven hours for Ms Thompson's body paint to be applied today, before she struts at scenic Hervey Bay locations. The details of her body paint theme are under wraps, but the photos aim to showcase the location with the Urangan Pier or a whale-themed setting tipped to be backdrop possibilities. The opportunity has great meaning for Ms Thompson, who was inspired by previous versions of the calendar to push through her own treatment. It was during her first chemotherapy appointment where she picked up the calendar, seeing the smiling women on the pages who had survived the frightening journey added a spark to her otherwise gloomy day. "I was feeling very down, but looking at these women gave me hope and showed that there was life after breast cancer,” Ms Thompson said. She was diagnosed with cancer in 2016, shortly after her youngest daughter turned one and after returning to work at a law firm from maternity leave. "Life was busy and so brilliant,” she said. She feared the disease would take her life, but after a year of treatment was given the clear. "I just feel brilliant,” she said. Though admittedly feeling a "little nervous,” Ms Thompson is excited to make her modelling debut. The calendar includes tips about breast care and breast health for women under 40, and shares personal stories. So Brave is holding a Ladies Lunch Fundraiser at Oceans Resort and Spa tomorrow, noon-3.30pm. Tickets can be bought at sobrave.com.au/herveybay. News Green's candidate Anne Jackson is in third spot, while independent candidate David Norman is in fourth position. 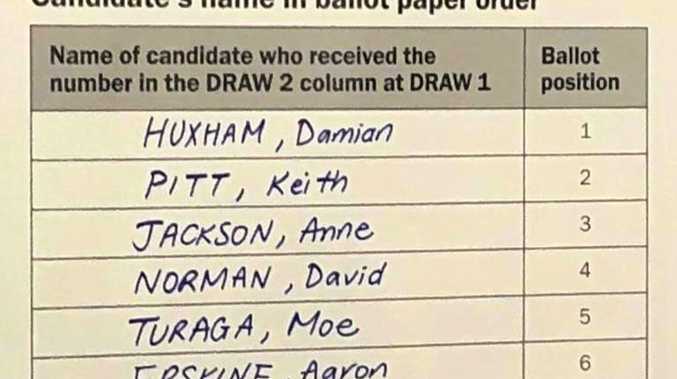 News In first spot on the ballot paper was Daniel Bryar.